Google search offers several advanced tools to speed up search process. Here are the ones book lovers should appreciate the most. When you search for the book, you probably go straight to your favorite online bookstore or book discovery site. 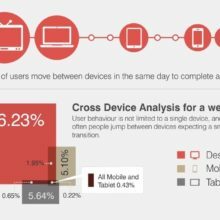 Why not giving a second chance to Google web search? 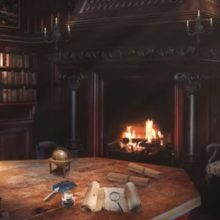 With a couple of tricks and search techniques, you can find books and book related items quicker and more efficiently. Times when Google displayed a boring list of results are over. 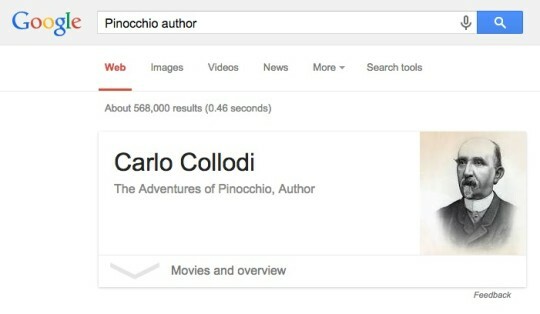 Now Google instantly shows images and video snippets. On search pages, you’ll also see flashcards for most popular searches, like the weather, currency rates, or flights. One thing to remember is that Google is a self-improving beast. Every time you perform a search, it learns and processes the information. So that the next time it could give you the right answer even if you make a typo in a search phrase. 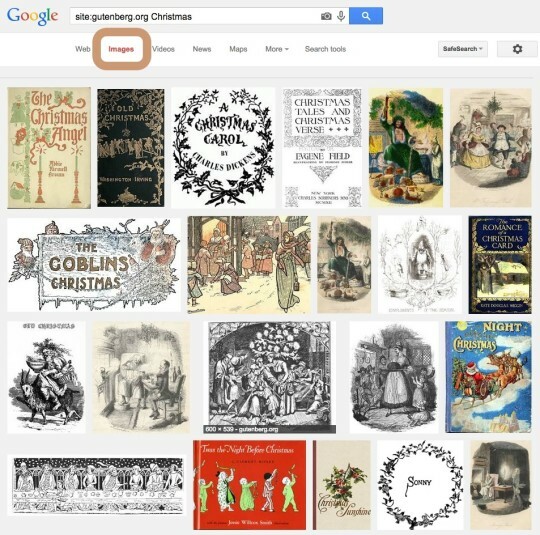 Visually rich search results are available for the most famous (read: searched for) books. Search options may depend on your location and the settings of your browser. Therefore, not all of the tips described below will be available for you. Is there anything missing in the list? 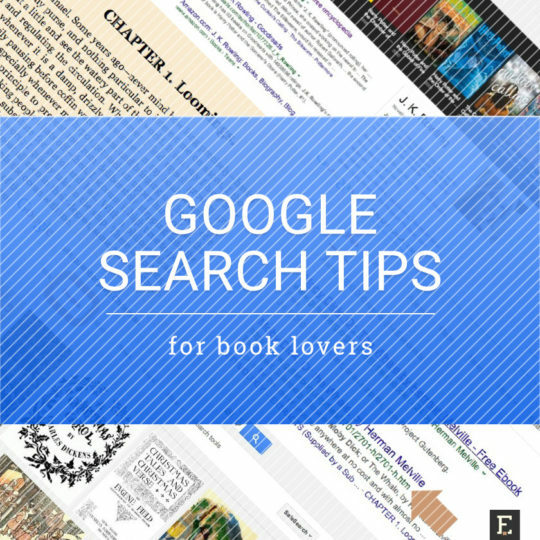 Please share your tips on how to use Google web search for the benefit of the book lover. Thanks! 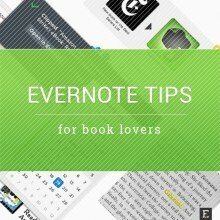 A list of Evernote tips and tricks that will let you make better use of your books, both in print and electronic form. 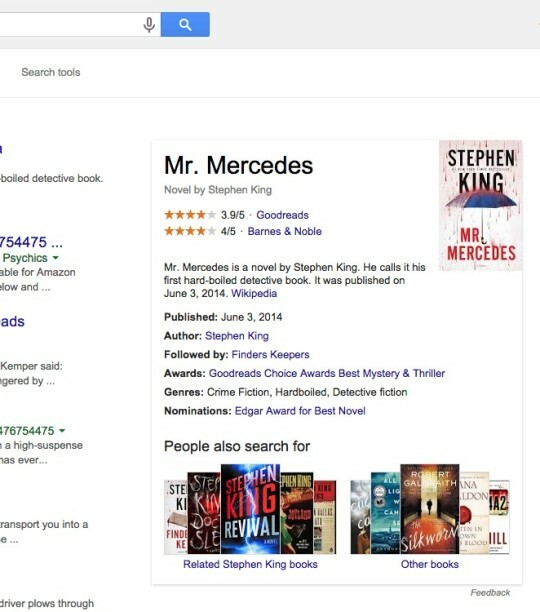 Just like the weather or unit conversions, Google displays visually rich information about books and book authors. Most probably, you’ve already seen the cards like the ones shown below. Now the task is to learn what to type in a search box to get the cards displayed. Some books are famous, but their authors are not. You’ll see right away the info card author’s name and picture, like on a screenshot below. 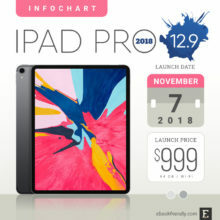 Nice, isn’t it? In most cases, you will see the average rating, together with the number of votes. Usually, ratings are aggregated from Goodreads. Additionally, you’ll see the results from Amazon, Barnes & Noble, and a couple of other influential sites. Please note that if the book was adapted for the big screen, by default, you’d see average ratings of the movie, not the book. 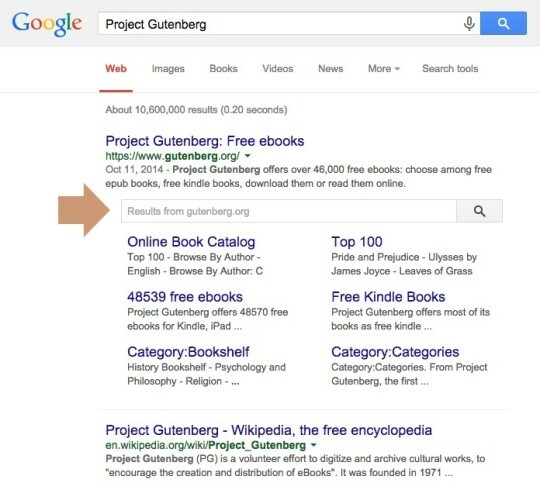 Paradoxically, the more general the search phrase is, the richer the information you’ll get. On the right side of the search results, you’ll find a card with detailed info. You will find the reviews, but also a short excerpt from Wikipedia, publication date, and book’s genre. What’s also very useful, if a book is a part of the series, you’ll know the title of the next book in this series. Want to connect with the author on social media? Want to know when she was born and how many books she wrote? You can find the relevant information without leaving Google search pages. The essential information about the author can be found in one simple card. 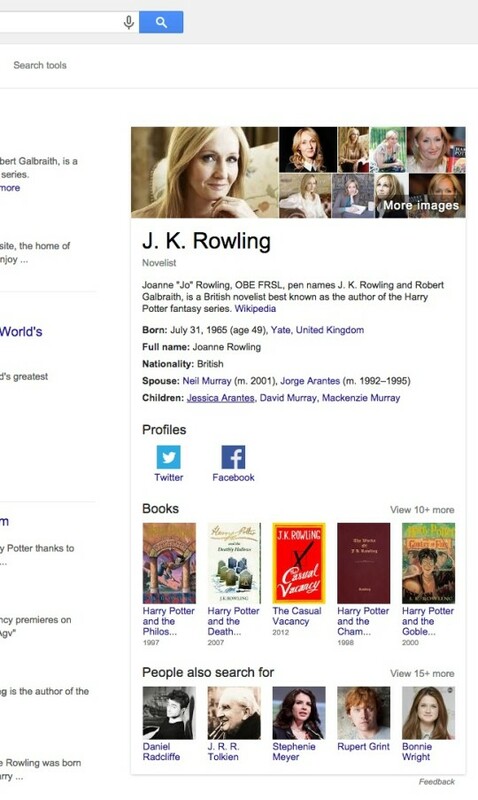 From here you can go directly to J.K. Rowling’s Twitter profile, or get a more detailed info about her books, as well as a personal info. On top of search results, we will see a slideshow bar with all her books. Use the drop-down menu on the top right to sort the books by popularity or the date of publication (oldest or newest first). 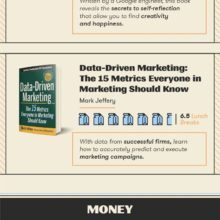 Clicking on a book cover of any book in a slideshow will result in displaying a book info card on the right side. If you have just started your adventure with ebooks, you probably want to fill your new Kindle or Kobo with books to read. There are many sites that offer free ebooks, legally, and Google web search will let you find links to them easily. Ebooks offered online for free are popular classic novels and other publications that have entered the public domain and can be reused without limits. They were published as digital files on such sites as the Internet Archive or Project Gutenberg. All you have to do is to type in the search box the title of the book (or the author), add a special search operator that looks for file types, followed by the format (pdf, epub, mobi, and so on). From my experience, I never remember this specific search operator (“filetype”), but typing in the file format brings also the relevant results. The moment you start creating your ebook collection is the right time to decide which file types are most suitable for your needs (and a device). Here is a short overview. 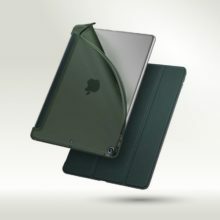 Still popular, but it has one major disadvantage: it won’t fit into smaller screens, as it’s usually a fixed layout. 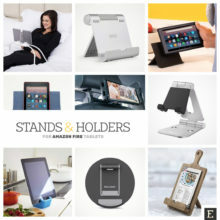 While it looks fine on a 10-inch iPad or Samsung Galaxy Tab, you’ll find it difficult to read on the e-reader. It’s the safest ebook file format. 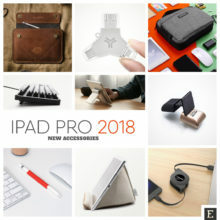 Most devices and apps support it. Is it the best? No. The disadvantage is that you lose text formatting and rich content (links, pictures). Also, most ebookstores don’t offer ebooks in this format. It’s the most popular format of ebook files, offered by most ebookstores, including Kobo, Barnes & Noble Nook, and most of the ebookstores in the local markets. 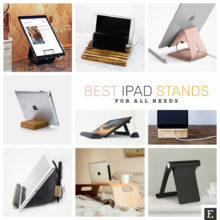 The major benefit of epub is that it allows the user to adjust the view. You can increase or decrease the font size, change the typeface, or make margins wider. You can also navigate through the book easier, as tables of content are hyperlinked. Plus, there is a possibility to include multimedia elements in epub files, so that you can listen to audio tracks or watch videos. This is the ebook file format specific to Amazon. 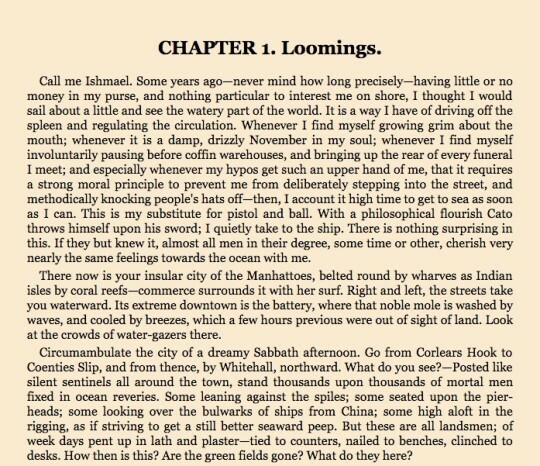 If you have a Kindle, you should download ebooks in this format, and not epub. 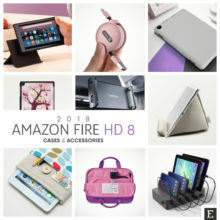 Some time ago Amazon replaced mobi with a more advanced format called kf8. However, most files available on sites with free public domain books are in mobi. Don’t worry, mobi is still supported by Kindle apps and devices. It’s the standard format for creating web pages. It’s not useful when you want to download the file to your Nook or iPad, but can be helpful if you want to read books online. To make the process even quicker, find out if the url address (the green text under the title of the page) ends with “.html” or “.htm”. If yes, you’ll go directly to the online version of the digital book. Some sites offer a better reading experience than others. My personal favorite is Project Gutenberg. For further reference, check out the list of best sites where you can read books online. Performing a site-specific search using Google will let you avoid little disappointments and find quickly what you’re looking for. It’s because Google learns from the search history – from thousands of sites, not one – and can provide most accurate answers. It’s not surprising that the search on prestigious sites like The New York Times is powered by Google. There are two ways to browse single sites on Google. In many cases, the search result for a specific site includes site links – a couple of most important subpages. If a site is popular and includes many pages, the extended search result may also include one more thing, and a very useful one – the search box. 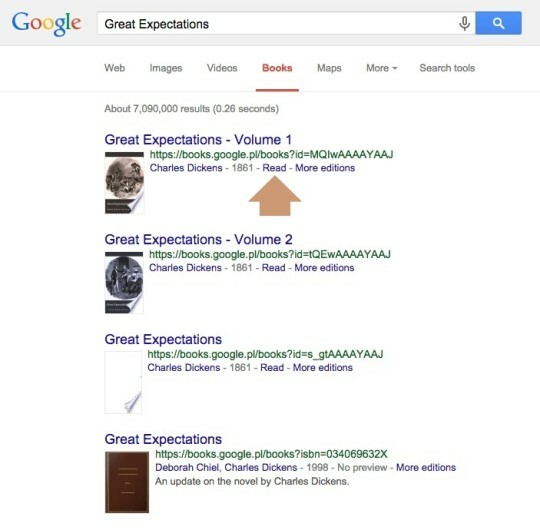 If you type the book title or the author’s name in this site-specific search box, not the main one, you will see the results only from this single page. Sites with a site-specific search are Barnes & Noble, Waterstones, Scribd, Smashwords, and Project Gutenberg, among others. 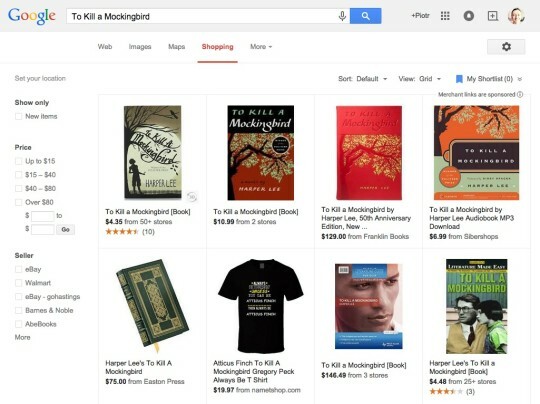 Strangely (or maybe not), Amazon, the online giant, has not yet earned the privilege of having the site-specific search. As you’ll see below, the results come with average ratings and the number of votes. In case of Kobo, there is also a way to pick up the books from different localizations (USA, Italy, and so on). Why it’s good to search sites with Google, instead of using the site’s own search feature? 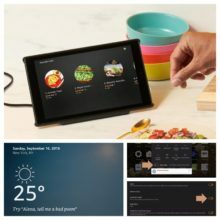 Some stores – and Amazon is the best example – have an advanced and very solid search. But some, for instance, Kobo, offer a search feature that is extremely disappointing. You either get nothing or a plenty of results, but the obvious choice is not on the top of the list. 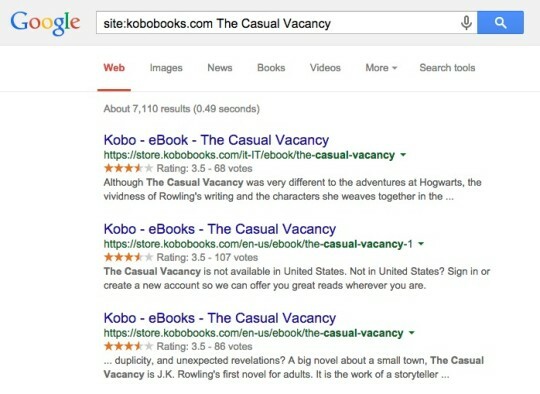 Instead of going to Kobo, I use Google. It saves me time and is much more accurate. 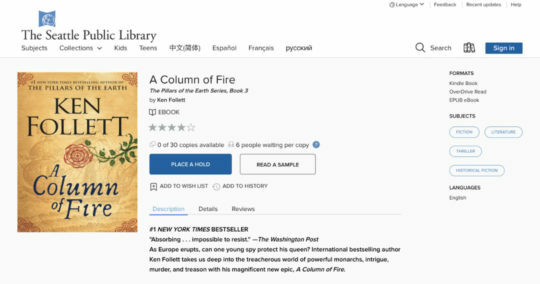 There is one more usage of Google’s site-specific search – to browse iBooks Store in a web browser. 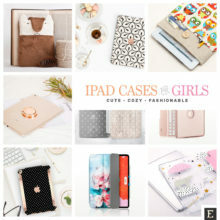 As you know, iBooks Store can be reached via Apple apps: iTunes and iBooks. Apple’s ebook store doesn’t have a web storefront. 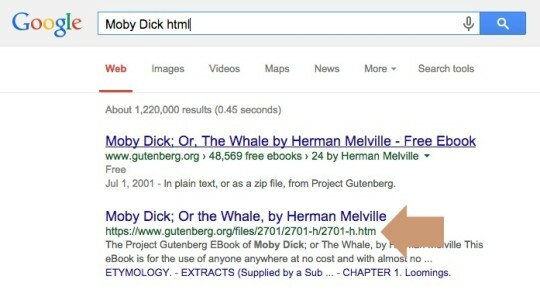 However, all its content is indexed by Google, so you can find the books in the Google web search. 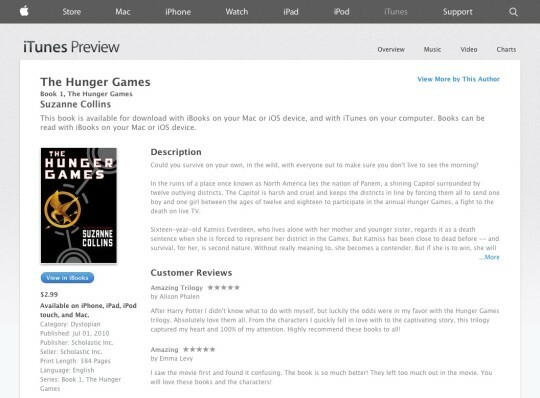 You can obviously run a search like “The Hunger Games iTunes”, but there is a better way. Paste in the search box the phrase from below followed by the key phrase of your choice. After you click on the web search link, you’ll see a web preview of the book, complete with the blurb, price, and top customers reviews. The “us” in the url address indicates that we search the US iBooks Store. If you want to browse iBooks Store localize in another country, replace the “us” with a relevant two-letter country code (ISO 3166 standard). you can find out whether iBooks Store offers ebooks you want to buy, and at what prices. This tip will let you find royalty-free images that you could use on your blog or share on social media. The next thing is to select Images tab under the search box, and you’ve got a plenty of great images to choose from. Google Books (formerly known as Google Book Search) is the largest online archive of digitized books. The catalog contains well over 30 million books, and they are available right in the web search. 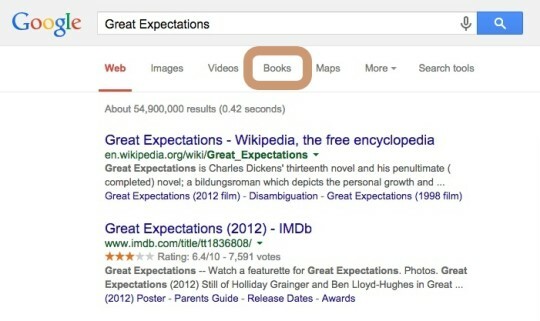 When you perform any search which is related to books (for instance an author or a book title) the new tab automatically appears under the search box – Books. 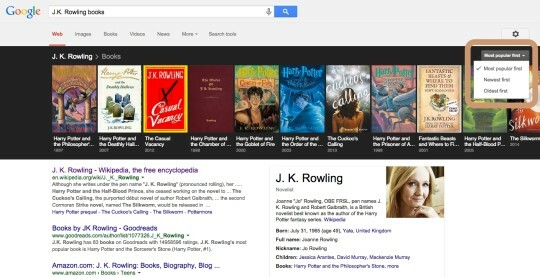 When you click on the Books tab, you’ll see all the related books found on Google Book Search. 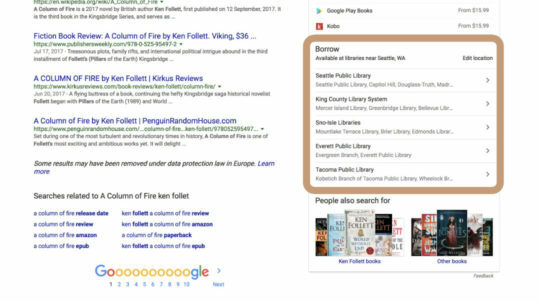 Why using Google Book Search at all? It’s good for several reasons. The archive collects books with links to publishers. Where possible it also offers free previews, depending on copyright and agreements with publishers. No preview – you can’t see the content of the book. 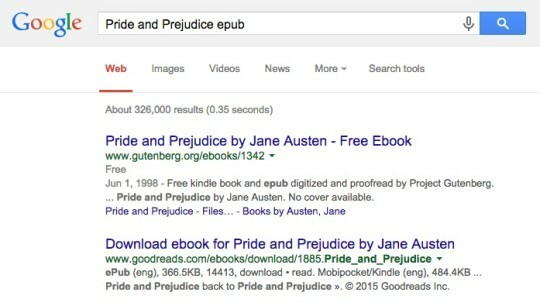 There is one more benefit of using Google Books Search. When you type the title of the book, you will see the matching books (that’s obvious). However, when you type the author’s name, you won’t see the books written by this author, but the books about this author. 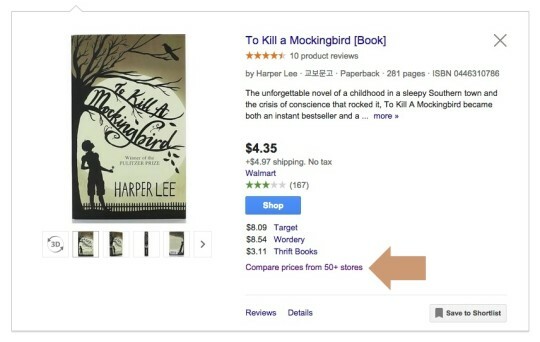 You can compare book prices directly on Google search, thanks to shopping section. Currently, Google Shopping feature is available in over 20 countries. You can check out the updated list on this Wikipedia page. When you search for a book and select the Shopping tab, you’ll see books aggregated from selected online stores. For US market it’s Barnes & Noble, eBay, Walmart, Target, AbeBooks, among others. 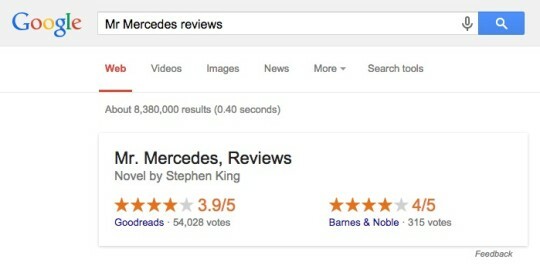 By default, Google shows results sorted by relevance, but you can change the order to price or average review. When you type the title and author of the book you would want to read, you will see the extended panel on the right, with all essential information. Since September 2017, the panel includes also information about the availability of the ebook version of the book in the public library near you. If you are logged in to your Google account, and Google knows your location, you will see this on the right side of Google search results. When you click the link, you will be directed to the library’s website with details of the ebook version of the book you are looking for. You will see a total number of copies the library offers, and whether the book is available to borrow right now. The library book search displays ebooks from libraries powered by OverDrive. The feature is currently limited to the United States, but Google promises to launch it in other countries as well. For those of you who don’t know the magic of “42”. The number comes from The Hitchhiker’s Guide to the Galaxy – Douglas Adams’ most famous novel. To give the answer to the Ultimate Question of Life, The Universe, and Everything, a supercomputer called Deep Thought was built. 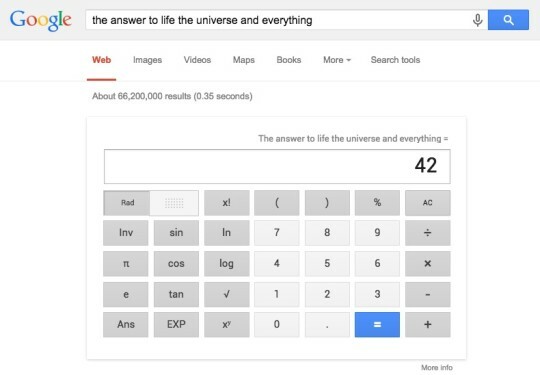 It took him 7.5 million years to come up with the answer, short and simple: 42. Now, when we know (almost) everything, let’s catch Catch 22.